3) A panel of judges will decide the winners. 4) By participating you agree to the rules and conditions as follows. RULES and CONDITIONS: By entering this contest I consent and agree to all of the following. If you have already entered or intend to enter The RINJ Foundation’s Graffiti Contest you may use a selfie with your graphics to enter the Selfie Contest. The RINJ Foundation reserves the right to disqualify and remove any photos deemed inappropriate. The RINJ Foundation also reserves the right to reuse photos for marketing purposes. By submitting photos you are consenting to the rules of the contest. Winners will be required to provide a shipping address in order to receive their prize. 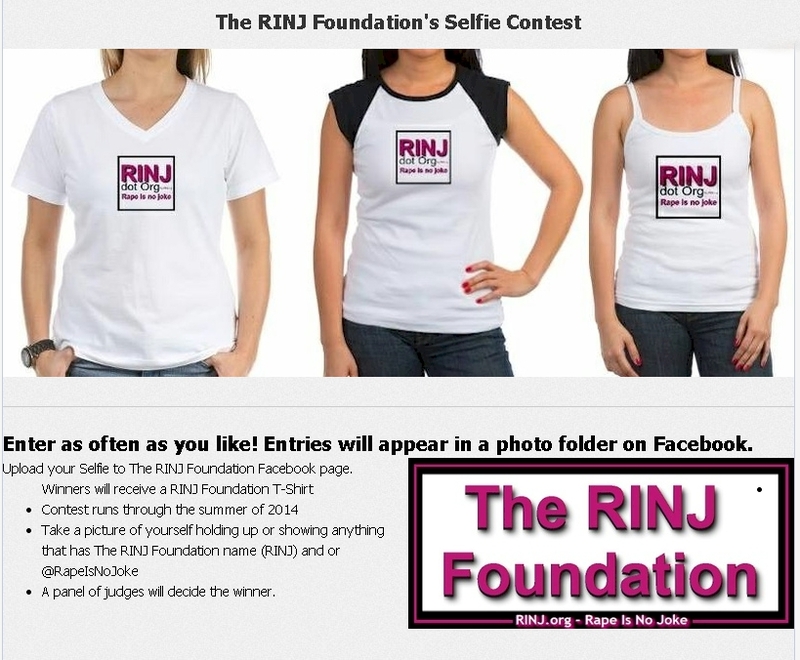 By submitting a selfie I grant The RINJ Foundation permission to use my likeness in a photograph in any and all of its publications and websites, without payment or any other consideration. I understand and agree that these materials and photographs are the property of The RINJ Foundation. I hereby irrevocably authorize The RINJ Foundation to edit, alter, copy, exhibit, publish or distribute these photographs for purposes of advertising, marketing, and publicizing The RINJ Foundation’s programs or for any other lawful purpose. In addition, I waive the right to inspect or approve the finished product, including written/physical or electronic copy, wherein my likeness appears. I also waive any right to royalties or other compensation or considerations arising or related to the use of these photographic materials. I hereby hold harmless and release and forever discharge The RINJ Foundation from all claims, demands, and causes of action which I, my heirs, representatives, executors, administrators, or any other person acting on my behalf of my estate have or may have in the future by reason of this authorization and release.